In the lobby of the elegant, modern Music Centre stands a tent with simple benches and tattered canvas. You can hear folk music in this tent, trad tunes from Suistamo echo from it, mixed with the hypnotic sounds of an electronic bowed lyre and contemporary rock from Petrozavodsk. Anne-Mari Kivimäki’s Suistamo series will reach its peak in the fifth concert, Dancing at the World’s End. The concert series forms part of Kivimäki’s Suistamo – The Laboratory of Tradition, which is her artistic doctoral research project at the Sibelius Academy. Choreographer Marjo Kuusela is the director of this tent event: she will bring her own strong artistic perspective to the Laboratory of Tradition, and incite the performers into a state fit for the world’s end. 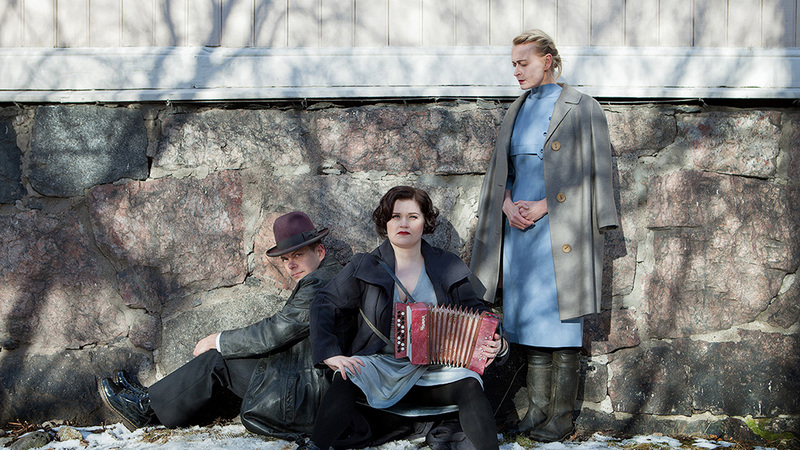 Kivimäki’s Notka accordions explore old Karelian melodies from accordionist Ilja Kotikallio – spending every night in a magic circle created by a new guest. What will this create?